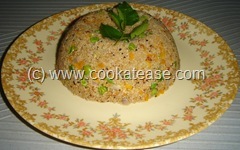 Broken wheat is also called as ‘wheat rava’ and ‘bulgur wheat’. Broken wheat is a good source of dietary fiber. 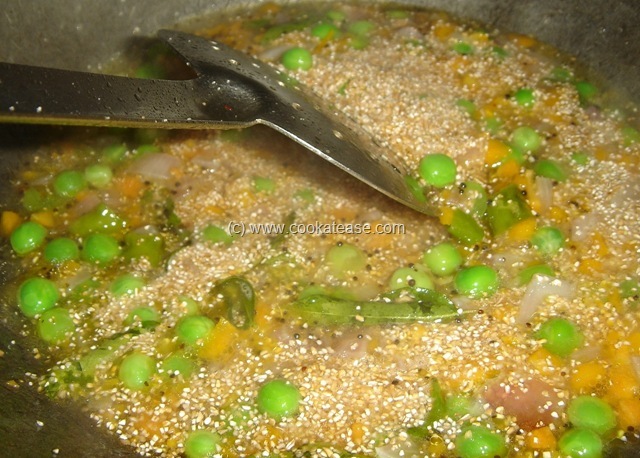 Whole wheat is cleaned, par-boiled, dried and ground according to size to make it as wheat rava. 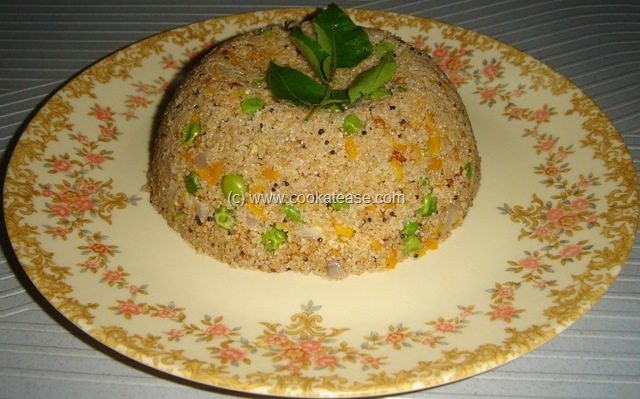 As wheat rava is not refined/polished, it retains its full nutritive value. Broken wheat is a good source of manganese, thiamine, niacin iron, zinc and carbohydrates. 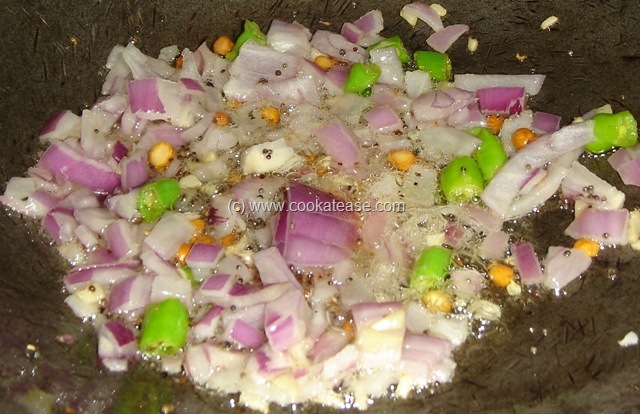 You can make upma, pongal etc with this. 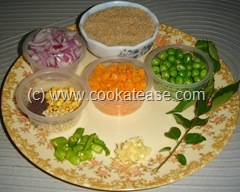 Here I prepared upma with broken wheat and vegetables. Clean and roast wheat rava till nice aroma comes from it. 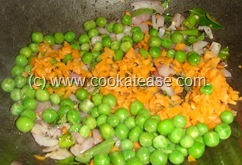 Do the seasoning, add chopped onion, green chilli, curry leaves, ginger and fry well; add chopped carrot, peas and fry for 2 minutes. 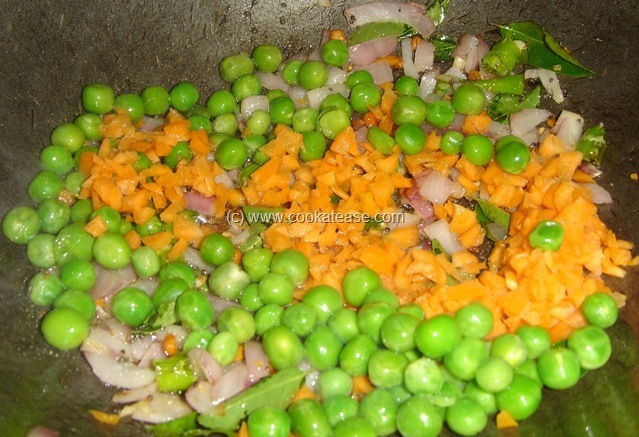 Add water, salt and boil it in low flame, till carrot and peas are half cooked; add roasted wheat rava, mix well, close with a lid and cook till wheat rava is soft. 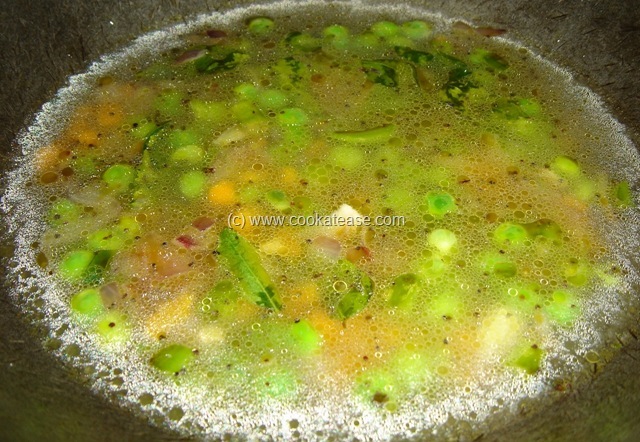 Serve hot with Fusion Chutney. Roasting the wheat rava is to avoid stickiness in upma. 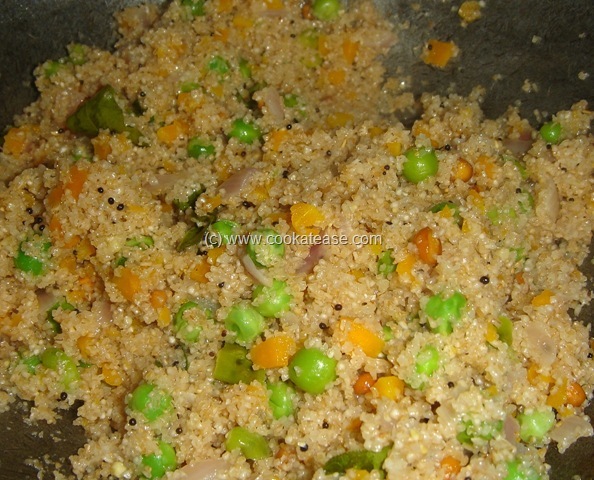 Such a healthy and filling upma..